focus on getting better, easier and faster. Providing easy, quick access to rehabilitation in your preferred location is a Mobile Physio promise. Contact us 8 to 6 daily over the phone or send us a message to book an appointment, ask a question, or simply speak with a Physiotherapist to find out if we can help. 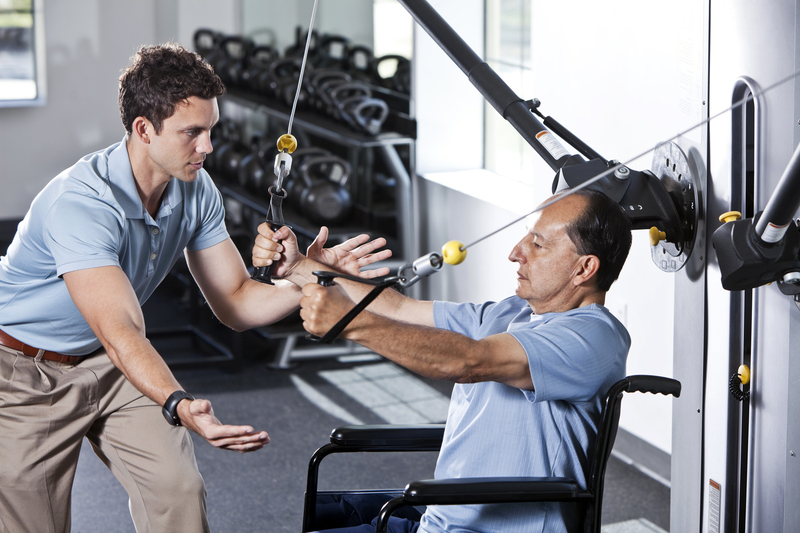 We will work with you to understand your specific needs and circumstances, and with your goals in mind, design a rehabilitation program that’s best for you. Then we’ll guide you through each step of the way to make sure your goals are successfully met. Each of our client is teamed up with a Physiotherapist that’s knowledgeable in your health concern. This allows your very own therapist to best tailor a treatment plan with a well-defined goal and keep you motivated to ensure the best possible recovery in the shortest time. When you come to Mobile Physio, you’re placing your trust in us. This is what inspires us to provide the most satisfying experience possible. Clients are accepted only if we know we can help. If we are unable to help, we’ll advise where you may receive more appropriate care. A rehabilitation program is tailor-made to improve your active functional movement after a stroke or brain trauma targeting towards better participation in activities at home, work, school and in recreational settings again. With a comprehensive assessment, holistic goal setting and individually designed interventions, your therapist takes you through a progressive exercise program that help attain a healthier, more active lifestyle. For hip and knee replacement, foot and ankle surgery, shoulder replacement or stabilization, fracture repair or spine surgery, your post-surgical rehab's measurable goals are achieved within definite time-frame. You and your therapist work together to address pain, stains, tears, sprains or overuse injuries such as runner's knee, tennis elbow and golfer's elbow, so that you can return to physical activities faster. People with history of falls or at risk of falling could benefit from individualized strength and balance training, which help you regain strength, energy and functional skills to prevent frailty and reduce the risk of accidents. To access or receive copies of your health record or to have your health information released to another facility or individual, please use the downloadable Authorization Form below. Billing options are tailored to suit your preferences and most payment methods are accepted. When using your insurance, you may simply authorize Mobile Physio to work directly with your insurance company or WSIB, or send your forms to us and we will process your claim for you. Our helpful, knowledgeable staff will provide you with all the assistance you need through the entire process. Contact your insurance provider or contact us and we will find out for you about your most up-to-date insurance coverage information if in any doubt. Call and speak with a Physiotherapist right away or send us a message and we will get back to you within 24hrs. The information you provide us is kept strictly confidential. Self Help Tips Library is updated every other week. Here you can find everyday better health information, news, tips, and facts that help you enjoy a lifetime of good health.